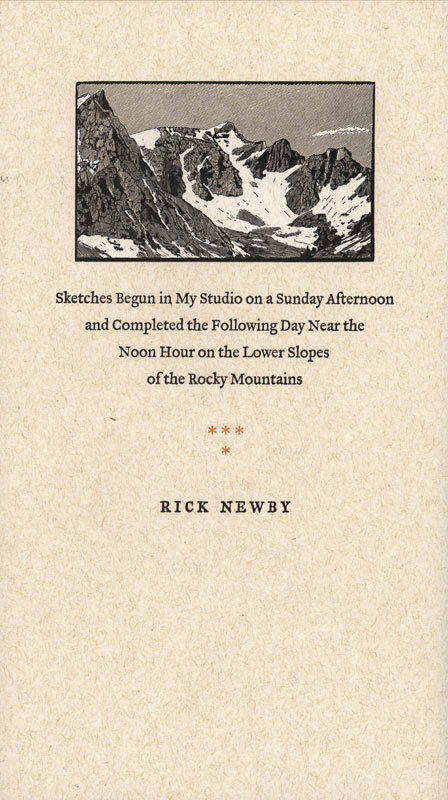 Sketches Begun in My Studio on a Sunday Afternoon and Completed the Following Day Near the Noon Hour on the Lower Slopes of the Rocky Mountains was designed and printed by Peter Rutledge Koch with the assistance of Jonathan Gerken. 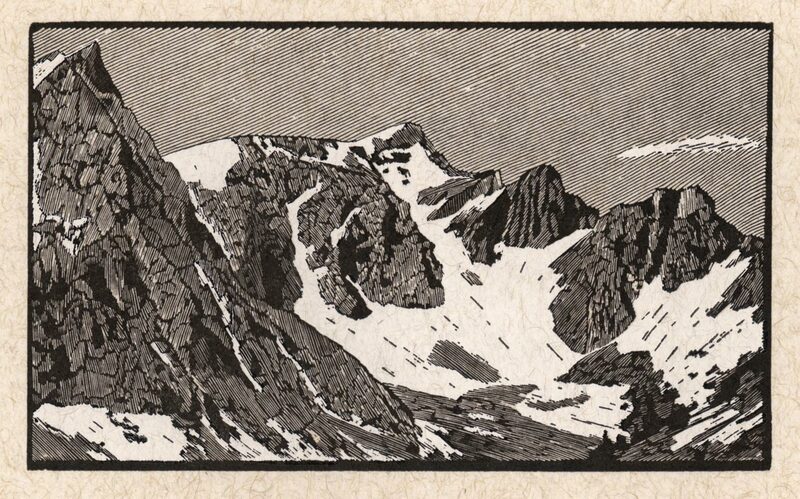 One hundred signed and numbered copies were printed on Hahnemulhe Biblio and twenty-six specially bound copies, signed and lettered A to Z were printed on vintage Robert Serpa handmade paper. The typeface is a hand-tooled digital version of Dante, designed in Verona by Giovanni Mardersteig and cut in steel by Charles Malin. Copies A–Z were hand-bound at the press by Jonathan Gerken. 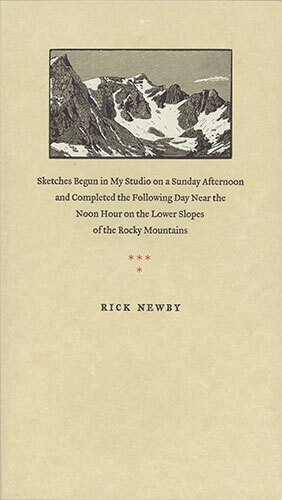 Cover wood engraving by Richard Wagener from a 1997 photograph by Fletcher E. Newby. Redundancy in the digital era edition: o.p.